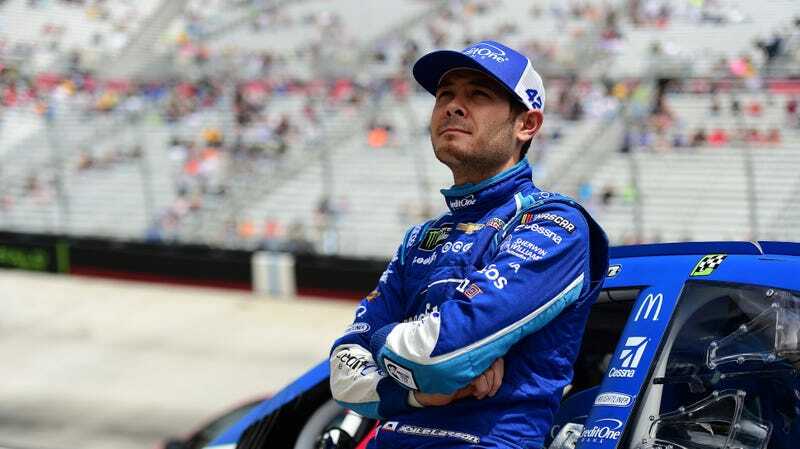 Talking to reporters before practice at Richmond International Raceway on Friday, 24-year-old Kyle Larson apparently called himself the “last true racer” in the Monster Energy NASCAR Cup Series—you know, the one with 40 different racers in any given field. According to Motorsport, team owner Chip Ganassi limits Larson to 25 dirt races a year outside of NASCAR’s top three series, which only have one dirt race date, in the Camping World Truck Series, between them. Let other people toot your horn, friends—especially when you’re speaking to a bunch of people with recording devices. It probably isn’t the best practice to do so yourself.